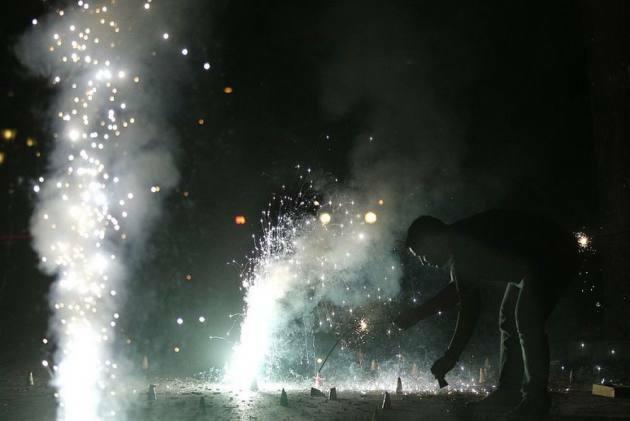 On the occasion of Diwali, when world over Indians were celebrating the festival of lights, two men of Indian-origin in Singapore's 'Little India' precinct were charged with lighting illegal fireworks and now face upto two years in jail besides a fine ranging between SGD 2,000 to 10,00 . Facebook group SG Road Vigilante (SGRV) posted the video on Tuesday afternoon along with a post which read, "Illegal fireworks being set off at Race Course Road. Singapore police officers can be seen rushing towards the scene." The post ended by wishing people a happy Diwali.